Comments: From the library of Marianne Means. Marianne Means was a former Kennedy - Johnson-era White House Correspondent. Hardcover and dust jacket. Good binding and cover. Clean, unmarked pages. Ships daily. "He [Donovan] has written a memoir that will stand through time as a model of winning brevity and of this subgenre of autobiography. 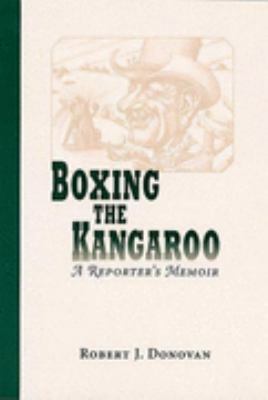 "Donovan, Robert J. is the author of 'Boxing the Kangaroo A Reporter's Memoir' with ISBN 9780826212818 and ISBN 0826212816. Loading marketplace prices 5 copies from $18.50 How does the rental process work?